Click this link to open the Quiz Sharing Form. Fill out the form with as much information as you can; the more you share, the better our collaboration! 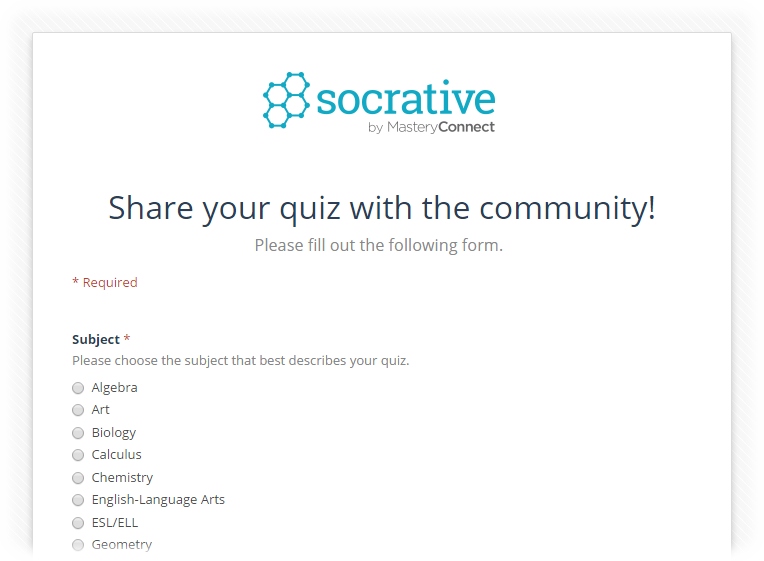 When you are finished, click Submit—the quiz will is then automatically loaded into the Shared Quizzes sheet for everyone to view and use.